Dr. Castellon a native of Nicaragua, obtained his dental degree at the University of Guadalajara, Mexico in 1996. He then completed a three-year Prosthodontic Certificate Program at the Louisiana State University School of Dentistry in July 2000. He subsequently completed a one-year Fellowship program in Aesthetic and Implant Dentistry at LSU. Immediately after graduation he became a part of the Department of Prosthodontics at Louisiana State University. He remained at the LSU School of Dentistry achieving the faculty level of Associate Professor with Tenure where he was Director of the Implant Clinic and Undergraduate Dental Implant Curriculum. In 2008 he retired and went into private practice in Metairie, Louisiana while continuing teaching at the Post-graduate level as a Gratis Associate Professor at the Department of Prosthodontics at LSU School of Dentistry. In the summer of 2010 he moved to Dallas and joined Dr. Rowan Buskin in practice. He has also been consistently chosen by his peers as one of the Top Dentists in New Orleans in 2009 and 2010 as featured in New Orleans Magazine Top Dentists. 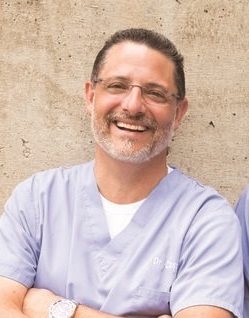 Dr. Castellon holds memberships in several professional organizations including the American College of Prosthodontics, The Academy of Osseointegration, The American Dental Association, The Texas Dental Association, the North Texas Hispanic Dental Association, Hispanic Dental Association, and the Dallas County Dental Society. More information about please go to www.dallasprosthodontics.com. Check out Dallas Prosthodontics' new listing here. Read More About Paulino Castellon, D.D.S.